If banker-economists were Oscar candidates, Italy's Mario Draghi, long since nicknamed "Super Mario," would be the winner. 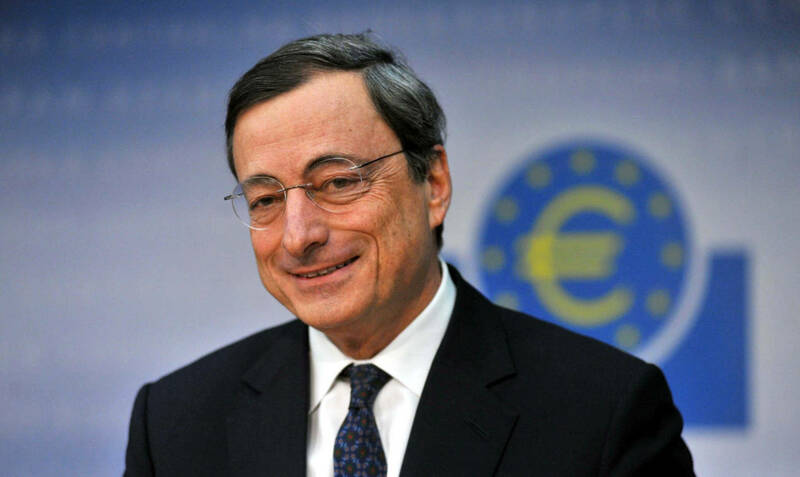 Last year Draghi, 69, was listed by Forbes magazine as number 11 among the world's most powerful people. Born in Rome, he was graduated from La Sapienza in Rome before moving on to Boston, where he took his Ph. D. in economics from the Massachusetts Institute of Technology. For 13 years he taught at the University of Florence before becoming a fellow at the the John F. Kennedy School of Government at Harvard University. After stints at the World Bank and the Italian Treasury, he became Governor of the Bank of Italy in 2005 before being elected President of the European Central Bank in 2011, the position he is to hold for another three years. All the more important then that Italians listen seriously to what he has to say about their flagging economy. This week he is addressing the European Parliament with general comments, but which obviously contain a few messages specifically addressed to Italy. Editorialist Ferdinando Giugliano's view of Draghi's testimony before the European Parliament on Sept. 26 was that Draghi called upon all those countries whose accounts are not in good order (an obvious reference to Italy, whose public debt is third highest after Japan and Lebanon) to privilege budgeting rather than to go on letting its debt increase. Put another way, the Italian government is accused of having done too little to curb spending while paying scant attention to public debt, or the ratio between spending and income, or GDP. Today Italy's stands at 133.3%; by comparison the U.S. debt is at 107.5% and Spain's and France, under 100%. In an oversimplified nutshell, the essence of Draghi's message is that, in terms of budgeting, the Italian government must stop considering quantity of spending in favor of quality, and not hand out jobs to people whom they do not expect to hold down jobs. It is a longstanding problem. According to the European Commission’s 2016 winter forecast, Italy's gross public debt was expected to peak at 132.8 % of GDP in 2015, but in fact exceeded this. "The debt ratio is forecast to decline slightly in 2017, to 130.6 % of GDP, thanks to the expected recovery of real economic activity and inflation combined with a further decline in the implicit interest rate paid on debt," said that overly optimistic forecoast. Even so, said the forecast, the banking sector remains at particular risk because exposed to government securities, and vulnerable to possible "abrupt changes" in financial markets' perception of sovereign risk. If these are the problems facing Italy specifically, the Brexit vote, hints of economic problems in Germany and the rough ride of the former Soviet nations who are now an often recalcitrant part of the EU raise other issues which can possibly undermine Europe, in which Italy is among the most prominent players. Just two weeks ago, speaking in Trento on the occasion of the Alcide De Gasperi Prize, Draghi raised what he described as a "simple but fundamental" question: can a united Europe still lead the way? "My answer is an unconditional yes", he said. "Working together remains the best way to overcome the new challenges facing Europe. It is the collaboration among its members that makes the European voice strong.... The critical mass of a Europe that speaks with one voice has led to results that go well beyond what any single country could deliver." Climate change is only one among the key challenges with which only a unified Europe can deal, according to Draghi. Climate is "a global question that can be addressed solely through policies coordinated on the international level." In other areas, whereas technology reduces physical barriers, "Europe, with its 500 million consumers, is capable of imposing the recognition of property rights on a world level and the respect for the rights of privacy on the Internet, something no single country can achieve on its own." At the same time, the free market can function only if all its participants "accept to play by the same laws and rules, and have access to judiciary systems which apply [these laws] in a uniform manner." The response to problems must begin on the national level, and so European intervention matters only when national governments are unable to act individually, he said. And there what are needed are policies that promote growth, reduce unemployment and increase individual opportunities, offering at the same time the essential level of protection of the weakest.